Little Rock Trestle is shown in Urban Grit, a curated exhibition of works at Gary Francis Fine Art, Alameda CA, Jan 8 - Feb 2, 2014. 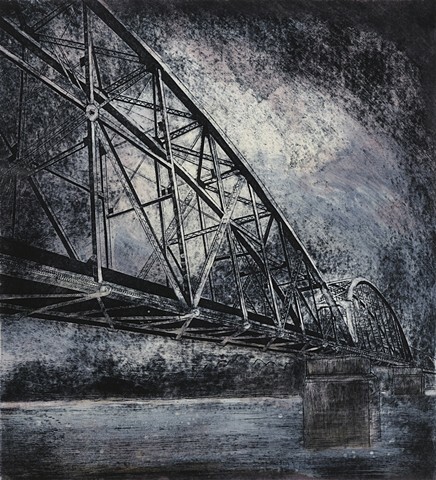 Little Rock Trestle is shown in New Works, an exhibition of printmaking works celebrating the 100th anniversary of the California Society of Printmakers at the Triton Museum of Art, Santa Clara CA, May 19 - July 15, 2012. United Kingdom, May 11 - June 10, 2012.